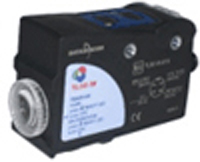 Complete range of optic functions, universal, application and laser class 1. Flat plastic tubular housing for improved versatility or metal cylindrical housing. Versions with axial or radial optics, with fixed, trimmer or EASYtouch™ teach-in adjustment. Cable or M12 connection with EN standard NPN or PNP NO-NC configuration. Adjustable background suppression reaching 12 cm. Axial or radial optics. Plastic or metal M18x1 housing. Double NO-NC standard output. New background and foreground suppression models. Free voltage versions with relay output. 10-30 Vdc versions with transistor output. Standard cable or M12 connection. 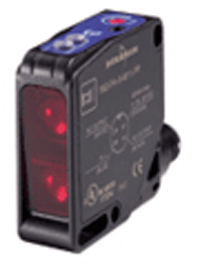 3 channel colour sensors with C or C+I functions and 10 tolerance levels. 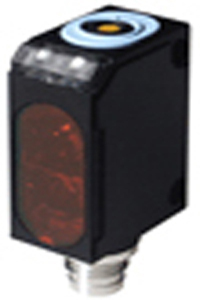 Wide spectrum white light LED emission and RGB photo receiver. 3 independent NPN or PNP outputs and RS485 serial interface. 2 push-button easy setting and 4-digit display. Fibre optic detection of one single colour or chromatic range with Microprocessor-based teach-in setting. Patent-covered CLEARLOCK™ fibre fixing system with M8 connection. Complete range of optic functions, basic, advanced and laser class 1. Models with coaxial optics for polarised retroreflex, contrast and luminescence sensors. Trimmer or EASY touch™ setting with Remote, Keylock and Delay functions. Standard cable or M12 connection. High resolution and RGB LED emission with automatic colour selection. 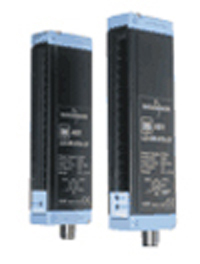 Very fast switching frequency and low response time. Easy sensor setting by means of two pushbuttons Mark/Backgroundd. Sturdy plastic housing with standard dimensions and fixing holes. Wide versatility of optic functions and connections. High operating distances for all functions. Models with trimmer adjustment and stability LED. Rugged and impermeable plastic housing. Visible red class 1 laser emission. Proximity models for high-resolution detections. 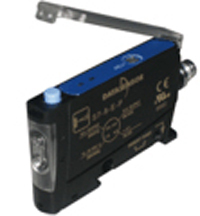 Retro reflex and through beam versions for long operating distances. Trimmer sensitivity adjustment and stability LED. 15 mm, 20 mm, 30 mm and 50 mm fixed focus proximity. 1.5 m retroreflex and 1 m polarised retroreflex. 2 m through beam models. Amplified NPN or PNP output with NO-NC double output. 10 bit resolution models with 500 µs response for high operating distances. 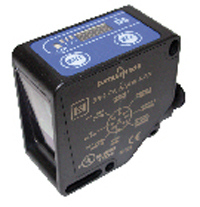 12 bit resolution models with 50 µs response and 4 digit display for high speed. Cost-effective models with multiturn trimmer adjustment. EASYtouch™ push-button setting with remote control, keylock and output delay. Ultra-thin housing with CLEARLOCK™ patented fibre fixing system. Area sensors with crossed beams. 100 mm controlled height. Operating distance reaching 2.1 m. 0.2 mm minimum detectable thickness. PNP output and Scan mode input. Interchangeable optics with standard CS-mount. Teach-in setting or PC graphic user interface. 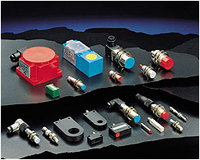 Georjam offers a variety of inductive sensor solutions: standard designs, block styles, extended range, weld field-immune, specialized sensing – whatever the need, there’s an inductive sensor that will provide optimum service. These sensors monitor, control, measure, and automate production sequences with high reliability and freedom from wear. 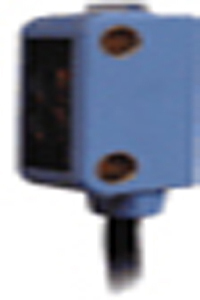 Georjam offers full range of inductive proximity sensors. 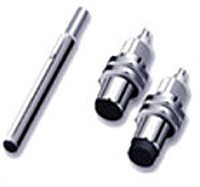 The complete range includes, 3mm miniature sensor, long range and weld immune sensors. Teflon coated and steel face sensors for harsh environment. 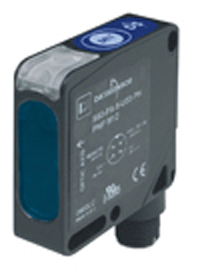 We also offer standard and extended range sensors from M5 up to M30 in PNP, NPN N/O N/C configurations. Cylindrical series 18 - 30 - 40 mm dia.